Slavery and Freedom in Savannah, book and exhibit, tell the story of slavery, emancipation, and black life in Savannah from the Colonial era into the mid-20th century. The silver tankard shines, appearing antique but rarely used. The story behind the silver cup on display at Telfair Museums’ Jepson Center for the Arts seems fairly straightforward. A visitor might assume it is part of the collection from a historic Savannah home. But while it appears as an object for current-day museum display, it represents so much more—a history rarely examined and known by relatively few people. In 1804, the tankard was given to an enslaved overseer, Maurice, at Hampton Plantation on nearby St. Simon’s Island. Plantation owner Pierce Butler gave Maurice the tankard in recognition of Maurice’s bravery in saving the lives of more than 100 slaves during a hurricane that year. Nearly 55 years later, Butler’s son sold 429 enslaved people, perhaps including some who survived that hurricane. The sale took place only two miles outside Savannah and was the largest slave auction recorded in American history. This story is one of many told in the newly published book and corresponding exhibit Slavery and Freedom in Savannah. Spanning the history of Savannah from the Colonial era into the mid-20th century, the book and exhibit convey an American story of urban slavery and freedom through the unique lens of Georgia’s coastal city. Special emphasis about the free and enslaved people associated with the original Telfair historic homes—the Owens-Thomas House and Telfair Mansion— underscores their significance to the larger history presented. The book will be released on February 12 with the exhibit, which was created to highlight the stories in the book, opening to the public at the Jepson Center on February 8. Tania Sammons, Telfair Museums’ senior curator of decorative arts and historic sites, agrees. “The story of slavery in Savannah may seem to be an outlier, given how strongly most people associate slavery with rural plantations,” said Sammons. “But as the book and exhibit point out, urban slavery was instrumental to the slave-based economy of North America. The story has national significance and has never been in told in this way before.” The book and exhibit are part of the museums’ ongoing efforts to document the lives and labors of the African Americans—enslaved and free—who built and worked at the Owens-Thomas House. It also explores the Owens, Thomas, and Telfair families and the ways in which their ownership of slaves was foundational to their wealth and worldview. Published by the University of Georgia Press, and on sale at this year’s Savannah Book Festival, Slavery and Freedom in Savannah builds on scholarship in several fields, providing insight into urban life across 300 years of Georgia history. 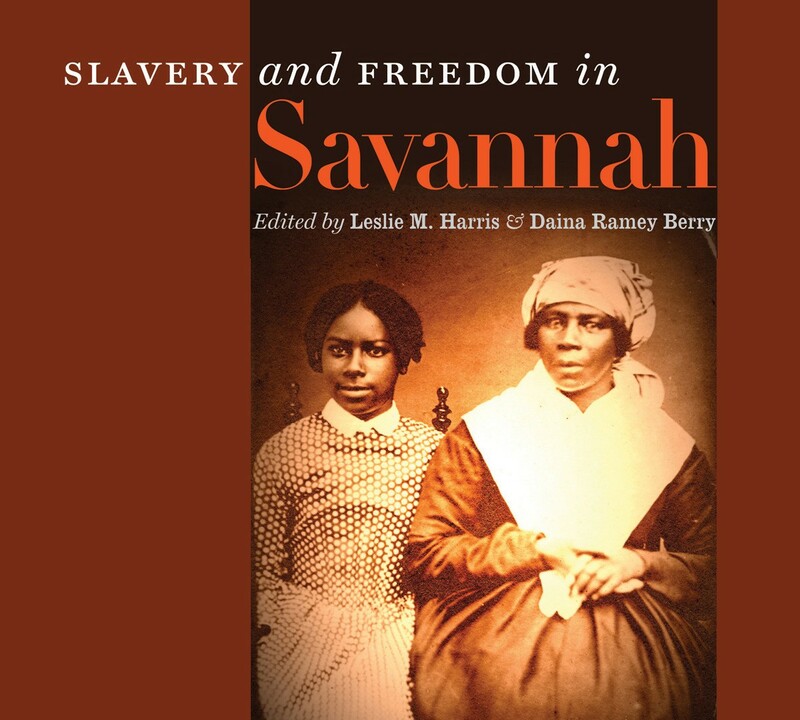 The authors have collected a variety of perspectives on slavery, emancipation, and black life in Savannah from the city’s founding to the early 20th century. Written by leading historians of Savannah and the south, the volume includes a mix of longer thematic essays and shorter sidebars focusing on individual people, events, and places. Telfair Museums’ strives to share Slavery and Freedom in Savannah with a wide audience, and with support from the City of Savannah, is opening the Jepson Center free of charge February 9-15. The official book launch will kick-off at 6 p.m. on February 12, with a presentation by the co-editors of the book and a choral performance by the Windsor Forest Troubadours and Knights of Harmony.